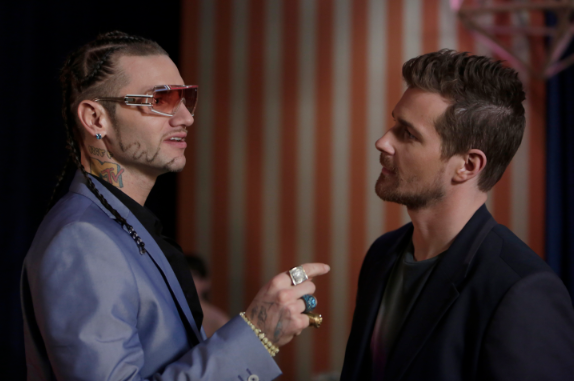 Entertainer and rapper RiFF RaFF stopped by the set of “One Life to Live” in Stamford, CT today for a special cameo on this beloved drama series. RiFF RaFF plays ‘Jamie Franko,’ a shady Miami art dealer, who visits Llanview’s popular hot spot, Shelter, looking for Cutter, played by actor Josh Kelly. The rapper has several scenes with Kelly along with Bollywood actress Shenaz Treasury who plays ‘Rama.’ Episode featuring RiFF RaFF will air on Tuesday, May 7. Now entering the digital stratosphere, One Life To Live is out with the old and in the new with an edgier and bolder look to spice things up in the legendary city of Llanview. This season, you can expect reoccurring roles by MTV's Jersey Shore JWoWW, High School Musical star Corbin Bleu, RiFF RaFF and additional special guest appearances by popular music artists and more to bring that contemporary twist to the story. It is without a doubt that this will be one interesting and memorable season that you won't want to miss! One Life to Live will premiere digitally on Hulu, Hulu Plus and iTunes on April 29th.